Independent bottling company, based in Glasgow. The company is headed by Stewart Laing and his sons Andrew and Scott, who had previously established their own bottling enterprise called Edition Spirits, which was absorbed into Hunter Laing along with new customers and markets in the Far East. Hunter Laing’s portfolio of brands includes Old Malt Cask – rare and old malts bottled at 50%abv, the Old & Rare Selection – cask strength bottlings of older malts, House Of Peers and Sovereign Single Grain, as well as a bottling facility in East Kilbride. In 2014 a new range of younger single malts was launched under the Hepburn’s Choice banner, along with the blended malt Highland Journey. Hunter Laing & Co was established in 2013, when the brothers Fred and Stewart of Douglas Laing & Co decided to split the company assets and operate their own independent bottling operations. 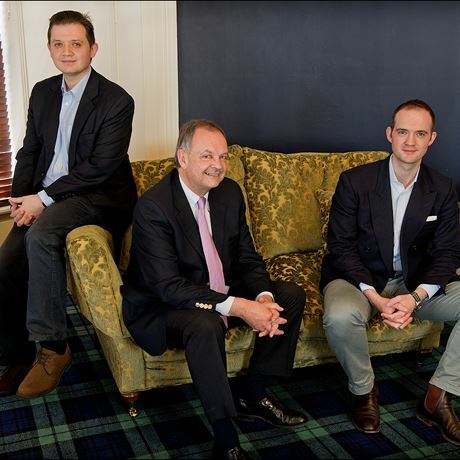 While Fred Laing was joined by his daughter Cara, Stewart Laing’s two sons Andrew and Scott were recruited to the new firm. As a young man Stewart Laing learnt about the whisky business at Bruichladdich distillery on Islay when it was in the ownership of A&B Grant & Co, then working for Stevenson Taylor & Co, a wine and spirits company, gaining greater experience of the commercial side of the Scotch whisky industry. He then joined the family company of Douglas Laing & Co, initially being involved in the bottling side of the operation, before accompanying his father Fred on sales trips to the firm’s key blended Scotch markets in Asia and South America. Following the death of Fred senior in 1982, Stewart and his brother Fred ran the business until 2013, moving away from the export blend market to concentrate on specialised single malt bottlings.